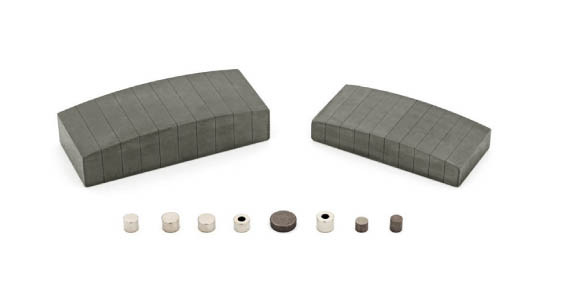 Our production range includes sintered and cast AlNiCo magnets, sintered SmCo and NdFeB magnets, PA and PPS bonded NdFeB magnets as well as magnetic systems based on these products. The main advantages of cast AlNiCo magnets is high maximum operating temperatures, which can exceed 500°C, and also very good corrosion resistance. Casting is best suited for simple forms and larger dimensions. 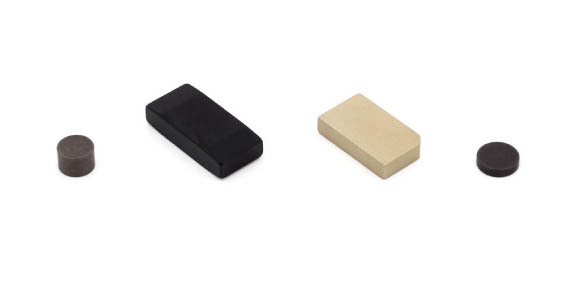 Sintered AlNiCo magnets also excel in very high maximum operating temperatures and good corrosion resistance and can be produced “near net shape” in complex forms and smaller dimensions. 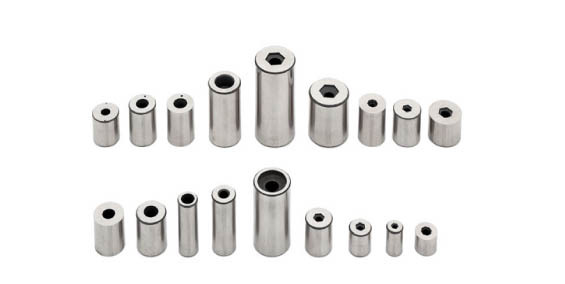 Sintered SmCo5 magnets are produced in a similar way to Sm2Co17 magnets, yet they have lower magnetization and also slightly lower maximum operating temperatures. 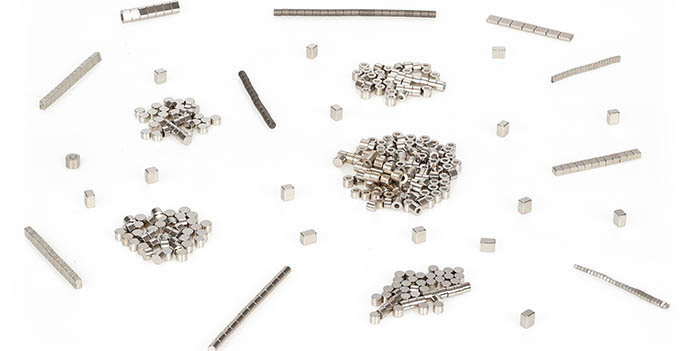 SmCo5 magnets are best for applications where only low magnetization fields can be applied and which still require quite high temperature stability. 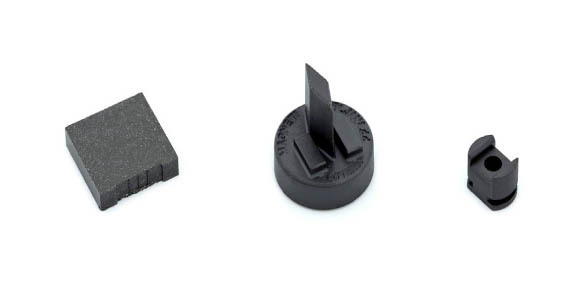 SmCo magnets have much higher coercivity than AlNiCo magnets, which means that they require more force to demagnetize them. They also work at higher operating temperatures and have better temperature stability than NdFeB magnets. 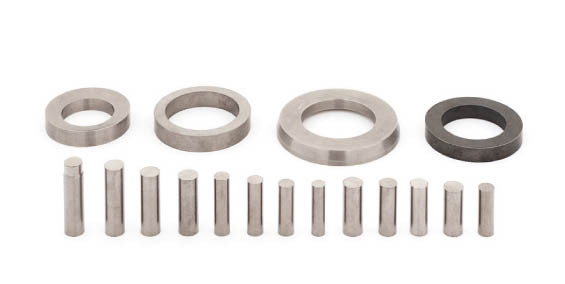 Sintered NdFeB magnets offer the highest energy product and are available in a variety of qualities. 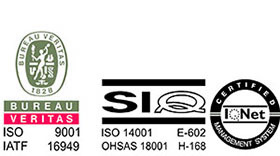 Despite their relatively low operating temperature they can be found in numerous applications. Magneti Ljubljana, d.d. produces various types of polymer bonded magnets based on several types of magnetic materials (NdFeB, SmCo, SrFe…) and binders (PA12, PPS, Epoxy…).